Recently, I had a pint with someone who used to work in a brewery in the 1980s. He told me how, at a certain time of day, their bottling line would stop. Labels would be switched, and then the bottling line would start back up, filling bottles with the exact same liquid. He recounted how he’d listen to guys at a pub swear by their beer brand—insisting that another caused greater hangovers or made them sick—before he would tell them that it was the exact same beer. Let us hope that beer will never be so poorly looked upon by its makers, nor beer drinkers so unaware, as during those dark ages. In any society that supports freedom of opinion, even the most positive cultural change will cause some sort of backlash. Most people would agree that the craft beer revolution is positive, if only in that it supports other artisanal campaigns such as craft spirits, cider and even the slow food movement. However, we all know traditional beer drinkers who, while they may not be downright hostile to craft beer, are certainly apathetic or mistrustful. They are happy with their mass produced adjunct lager, both its flavor and its economics, and although they might occasionally try something new or strange, they don’t plan to convert to craft anytime soon. Even those life-long macro drinkers have to admit that, although they might be happy with a mass-produced lager world, there should at least be choices available for others. Theoretically, choice means competition and that, in turn, should encourage increased quality and diversity. The fact that many beer drinkers haven’t been converted to craft beer is not the main source of the reaction against craft, however. It comes from those who stand to lose the most from the threat that craft represents: macro beer producers. The fact that certain companies have been successful by making one highly consistent, but very limited, consumable isn’t what makes them dangerous to beer. What makes them dangerous to beer is how they have achieved that success: streamlining the industrial brewing process to maximize efficiency, buying up the competition, reducing diversity, and spending huge amounts of money on selling a very specific idea of what beer should be to the public. The craft beer movement offers an alternative vision of beer and of how a beer producer should or could do business. As beer culture has changed, the media has taken notice. Not only that, but a whole new media, focused primarily on beer, has emerged. This emergence started with the pioneer beer writers and explorers, such as the UK’s Michael Jackson and Oregon’s Fred Eckhardt. There are now many magazines, books, documentaries, and YouTube channels devoted largely to beer. Often this media coverage has been a sort of cheerleading. More recently the media has turned to the future, not so much what craft is but to where it is going or what is going to happen next, to both craft and beer in general. Is the market saturated? How will macro beer fight back? These and similar questions have spilled a lot of ink lately. Alongside all the attention Craft Beer has is a disturbing minor trend, something that might be seen as the inevitable reactionary backlash of macro brewers’ defensive apologetics.The macros would love to portray themselves, and their steadfast drinkers, as the underdogs, as the persecuted, as the “real” drinkers. 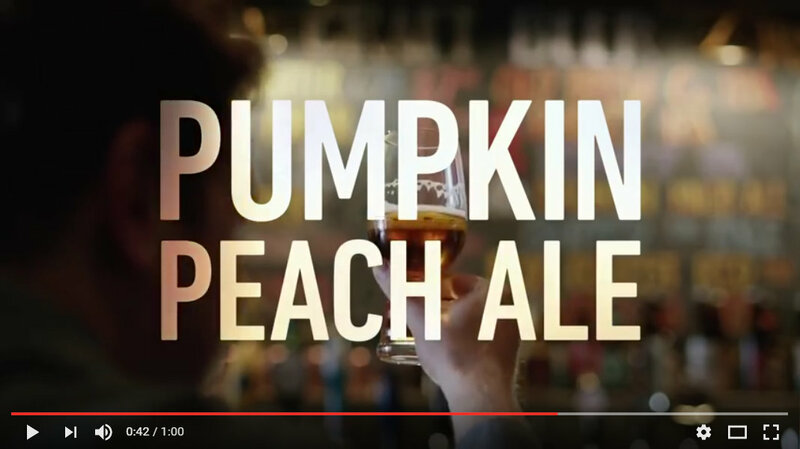 An example of this is the Budweiser Super Bowl commercial that actually made fun of serious beer drinkers with an ironic poke at Pumpkin Peach Ale. A relatively benign article appeared in the May/June 2015 issue of Taps magazine, entitled “What is Your Lawnmowing Beer?” In it, author Craig Pinhey admitted to routinely slugging back a Moosehead or two after his rec hockey games. He then noted that he always has a better beer waiting for him at home. There is nothing really distressing about this; we don’t need zealot-like boycotts of macro breweries. I recall an interview with Naomi Klein, famous for the anti-corporate book No Logo, in which she admitted that when she wants a coffee in an airport she will acquiesce to drink a Starbucks. Personally I almost never buy macro beer, but at parties where the craft beer is tapped out, I’ve often reduced to snagging a Coors from my cousin’s cooler. That said, I would make two recommendations regarding highly quaffable beer. First, let’s not equate quaffable beer only with macro produced beer. There are at least half a dozen craft beers that I know of that almost perfectly balance drinkability with the character that makes the perfect lawn mowing beer. Maybe more importantly, not only do these beers drink really easy, they can be enjoyed at other times as well. But say even this small amount of character didn’t work for you or your rec hockey buddies. Then I know of at least two beers made almost down the road from me that are so tasteless and inoffensive that, if you really required an almost tasteless beer, then craft even has that covered. (To be honest, their inoffensive tastelessness actually offends me; but that’s for another article). So the response to What’s Your Lawnmowing Beer ultimately becomes Why Drink Moosehead—unless it out of stubborn macro loyalty? Another article, this time in a mainstream magazine, was titled, “Craft Beer Comes Back to Earth” (William Bostwick, Esquire [26 Mar 2016]). The implication here is that craft beer should stop attempting to make quality, high character, bold beers. Instead, beer should be simple and approachable. Craft beer should get off its high horse, and should make beers for the rest of us. The last article which I will highlight also appeared in a beer magazine and was the most blatant defense of a macro beer I have yet encountered (Jim Dykstra. The Beer Connoisseur [Holiday 2015, Issue 21]). Clearly, there is no point in denying that Budweiser’s greatest strength is its consistency. If macro has given beer one good thing it is this. The article features a Bud brewer and notes that she is just as dedicated as any craft brewer. Before that, however, the writer states that he has no taste or moral issue with drinking Bud. That he holds this viewpoint as a beer writer is somewhat alarming, not just because his position might make his integrity suspect, but also because his position, knowingly or not, plays directly into the hands of the macros and their huge advertising machines’ newest party line. If in all this discussion about the future of beer, we subscribe to the view that this is the best it will get, that there will be an inevitable leveling-off of the craft beer explosion, then the economic practices of the macro should be of great concern to us. If we think that the battle is won, then we should be prepared for another Dark Ages of beer. The last thing we need is writers telling drinkers that the macros aren’t that bad. Go ahead and drink your Bud or your Coors. I might even have one with you if I’m desperate enough. Go ahead and write an article or a blog or even a book about how great it is. But don’t suggest that it, and only it, is what a real beer should be. Only when the macros have been diminished enough that they have to concede that beer is something more than just the product they have been peddling, when they have to play the game on craft’s terms of creativity, exploration, character and depth, may the battle be won. When Budweiser stops putting out commercials attacking beer nerds, when the macros have been reduced to a market share that is reasonable, when, in the words of Stone Brewing’s Greg Koch, they stop using predatory tactics of “purchase, control, obfuscate.” and start competing through beer, then we can talk. 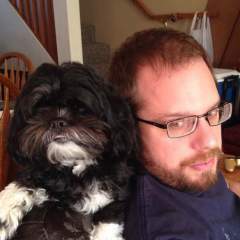 Ted Child is a Recognized BJCP Beer Judge and award-winning homebrewer. He is also What's Brewing's in-house book reviewer. Look for his assessments of the latest beer books and publications in each issue. Good points in here. But note that Moosehead is not macro in my definition and often gets mistaken as such. It is big, and they may use adjuncts in their recipes (as does Yuengling in the US but it is part of the Craft Brewers Assocation) but it is the oldest independently owned brewery in Canada, and is still owned by the same family — unlike Sleeman, Unibroue, Granville Island, Creemore etc.